Evening my lovelies, hope your weeks going well so far? 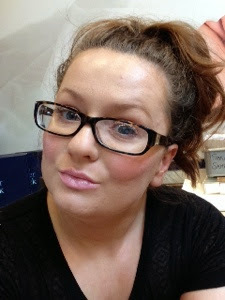 I just wanted to do a short little post about a product I'm absolutely loving right now, and that is the Tanya Burr lipgloss range! I'm so happy I finally purchased these, considering I'm not a lipgloss wearer, and haven't been since I was in my teens, I'm seriously in love! The Lipglosses are so pigmented and the colour pay off on the lips is outstanding, I adore the smell of them and I need more in my life. If I'm honest I never quite expected to like them as I was worried about the idea of using a gloss again after all these years but I'm completely converted back, they have a slight lacquer finish to them which is very hydrating and they last hours on your lips without needing to reapply! 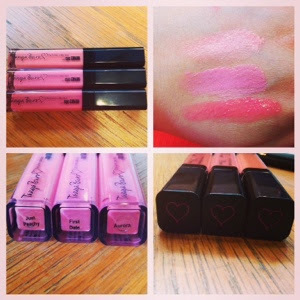 In my collection so far I have: Just Peachy, First Date & Aurora, my favourite of the three is First Date, it's a beautiful pale pink which looks really natural if you use a small amount or a lovely flush of colour with a full coat, I've been wearing these non stop since I got them last week and can't see me putting them down in the future! Omg such pretty colors! The one you're wearing in the photo looks so good on you! Love this shade, really suits you!